Valentine’s Day is right around the corner and there is no better city to be in love in than the City of Angels. Los Angeles offers so many romantic destinations for dining and drinks. Surprise your special someone with an innovative Indonesian experience this Valentine’s Day at Bone Kettle in Pasadena by indulging in delightful flavors that are sure to ignite a love filled evening! Start the experience with Executive Chef Erwin Tjahyadi’s freshly shucked Oysters, then bask in some loving luxury by enjoying the Bone Marrow with scallion confit, grilled baguettes, red endive, baby frisse, mizuna and apple-rhubarb dressing. The Steak Tartare made with St. Helen’s Ranch hanger steak, chili vinaigrette, lemongrass and krupuk, is always a beloved choice. The true love of the evening, however, is the Bone Kettle Bone Broth prepared to share using time-honored cooking techniques and ingredients reflective of Southeast Asian traditions, the beef is boiled in filtered water with onions, garlic, ginger and a special Bone Kettle mix of dried spices for up to 36 hours. Savor the ending of this perfect evening by sharing the delectable Black Rice Pudding made with black rice, sweet corn and coconut. Naturally, every dish can be perfectly paired with Wine selections from Sommelier Alexander Goldfisher or be bold and try sipping on something from Bone Kettle’s exclusive new Sake selection. Whatever you decide, Bone Kettle is undeniably the perfect choice for this loving occasion! Heat up the night and head to Silverlake classic Casita Del Campo for some fiery fun this Valentine’s Day! Savor some Mexican fare that will make you feel as though you are South of the border and settle into this perfectly pink restaurant as you start off with a sizzling specialty; the Queso Fundido with melted jack cheese served in a crispy flour tortilla shell, topped with Mexican chorizo or mushrooms. Next, order up a classic Fresh Made Guacamole prepared with fresh avocado, tomato, onion, cilantro and lime juice. 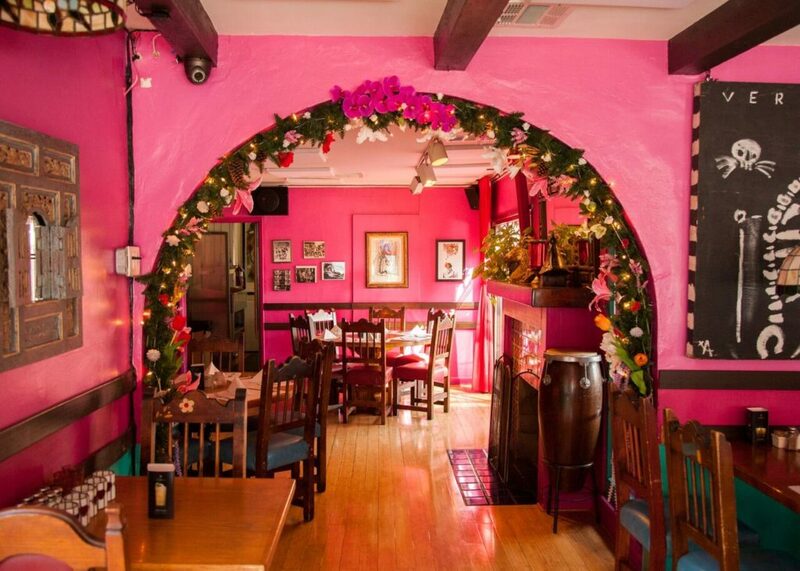 The options are limitless on this lovely evening as Casita del Campo offers their traditional menu so lovers can get a real taste of classic Mexican cuisine while taking in the romantic setting with bright colors, stained glass and twinkly lights. House favorites include the Enchiladas Mole Poblano served with two chicken enchiladas smothered in a special sauce blend and topped with guacamole and sour cream, or the slow roasted Carnitas prepared with a secret recipe of spices and herbs that will titillate everyone’s taste buds. If your Valentine is in the mood for a classic Margarita opt for the Pomegranate Margarita made with tequila, fresh squeezed lime juice, a splash of triple sec, pomegranate juice and fresh pomegranate garnish, and if guests want to make it most memorable they can enjoy the Besamé, a special Valentine’s Day cocktail made with tequila, triple sec, lime juice, a splash of Strawberry purée and Brut, or the Viva el Amor! prepared with Grenadine, rum, a dash of milk, topped with whipped cream. And, to complete this delectable Mexican evening, sweethearts can share Casita del Campo’s homemade Flan topped with whipped cream and a cherry, so good that your heart will be bursting! This Valentine’s Day create the perfect romantic getaway and head to Celestino Ristorante in Pasadena where you and your special someone will feel like you are in Southern Italy! Owner and Executive Chef Calogero Drago gets into the spirit of love as he will be offering a Four-Course Prix-Fixe Valentine’s Day Menu ($68 per person) that will take you on an Italian journey course by course and he will also be offering his full Dinner Menu for lovers that prefer to dine à la carte. Guests that choose to begin their Italian adventure by indulging in Chef Drago’s Four-Course Prix-Fixe Valentine’s Day Menu will start with the Antipasto and choose between the Zuppa di Lenticchie Dolci alla Romeo, a lentil and kale soup; the Anellini di Calamari Fritti al Bacio, fried calamari with pink tomato sauce, or the Insalata di Aragosta con Pure’ di Piselli e Melone, a steamed lobster over sweet pea purée and melon. The Pasta course is a must and paramours can relish between the Ravioli di San Valentino, heart-shaped red beet raviolis served with a goat cheese sauce, the Risotto con Sapore di mare e Zucchinie, a mixed seafood and zucchini risotto, or the Farfalle con Degli Innamoarti con Caviale e Salmone, a bowtie pasta served with smoked salmon and caviar in a mascarpone cheese sauce. The Third Course includes a choice of Filetto di Branzino con Patate Peruviane alla Mode degli Amori di Primavera, a grilled filet of sea bass served on a bed of Peruvian mashed potatoes in celery and black truffle broth, or the Scaloppini di Pollo Ruspante al Pepe Rosa, wild chicken served in a pink peppercorn and brandy sauce. Before sweethearts begin singing “That’s Amore,” they must indulge and share the Torta Sorpressa d’Amore, a surprise sweet love cake. Sip and savor a special glass or bottle of Italian Wine from Celestino Ristorante’s special Wine List to accompany your magical Italian meal where Italy appears closer than you ever imagined! Viva L’amore! Did someone say “love” this Valentine’s Day? Sweethearts will be swept away at Culina at the Four Seasons Hotel Los Angeles in Beverly Hills as they experience the finest this city has to offe, by enjoying Chef de Cuisine Luca Moriconi’s Five-Course Prix-Fixe Menu ($125 per person) or looking into each other’s eyes while dining à la carte with his full Culina Dinner Menu. Guests can begin with a special Sangria Cocktail for Two created by Connor Hammond that features red wine, Asian pear, strawberry, orange and honey, garnished with fresh fruit. Lover’s that choose to indulge in Chef Moriconi’s Five-Course Prix-Fixe Menu will begin with an Oyster Cupid Amuse-Bouche with freshly shucked oysters and aphrodisiac condiments, followed by the Antipasto, including a choice of the Cappuccino di Pomodoro; a tomato soup with ricotta agnolotti and taggiasca olive dust; the Mozzarella E Fragole with Buffalo mozzarella, candy striped beets, marinated strawberries, aged balsamic and mint, or the Carpaccio di Gamberi, a Carabineros prawn crudo with red pepper corn, seabeans, grapes and citronette. The Primo course includes a choice between the Lasagnetta: black mussels and artichoke lasagna with dill vellutata, or the Risotto made with asparagus risotto, saffron, Robiola Bosina cheese and edible gold. The Secondo course includes a choice of Sogliola E Zucchini; baked Dover sole filets with Beluga lentil purée, zucchini tempura and caper emulsion, or the Gallina al Tartufo, a roasted Cornish hen served with truffled white polenta, green peas and seasonal black truffles, that will truly arouse all senses. Finally, the Dolce course for two is a Duo Della Passione; a passion fruit semifreddo, served with chocolate tortino and candied rose, making this the sweetest Valentine’s Day of all! Treat your beloved to some true Southern hospitality this Valentine’s Day at Preux & Proper in Downtown Los Angeles where Executive Chef Sammy Monsour prepares a delectably, delicious Southern spread for a treasured evening of love! Sharing is especially important, so start the night off with the Charcuterie paired perfectly alongside the Pate de Champagne made with rabbit and pork, green tomato chow-chow, seasonal accouterments and fresh baguette. When one travels down South gumbo is a must, and this is the perfect occasion to spoil your significant other and your taste buds with Chef Monsour’s Cast Iron Seafood Gumbo Pot made with Louisiana crawfish, Tiger prawns, Willapa Bay oysters, PEI mussels, rice and tobacco leeks, or continue with Southern tradition by sharing the Seasonal Rabbit Jambalaya prepared with Oz Family Farms rabbit, heirloom squash risotto, sage, Pecorino sardo, golden raisins and pumpkin seeds. Once overly content and satisfied, the Beignets will be the highlight of the night, with a pâte à choux dough with “Bananas Foster” dulce de leche, and powdered sugar, or speak lovingly over a slice of Kassady’s Mama’s Key Lime Pie, a secret recipe served with whipped cream. Kassady Wiggin’s, Preux & Proper’s Beverage Director will also be serving-up two special Valentine’s Day Cocktails including the Love Potion #9 made with Sipsmith London Dry & Sloe Gin, house grenadine, egg white, fresh lemon, garnished with firesticks and Luxardo cherries, or the 50 Shades of Lavender comprised with Haku vodka, house lavender Earl Grey syrup, sparling rosé, garnished with a lemon peel and fresh lavender. So, get ready for a Southern Valentine’s Day like no other at Preux & Proper, where everything is prepared with LOVE! 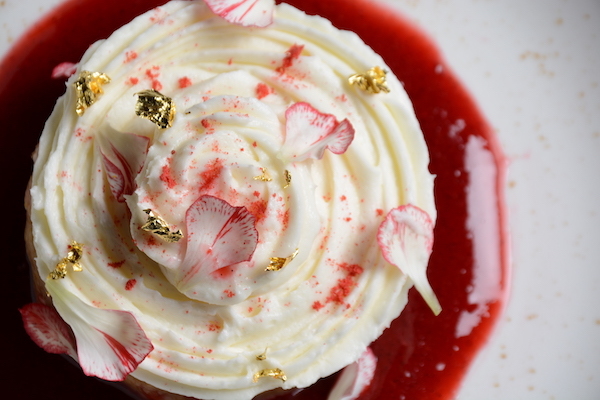 Sip and savor delightful dishes and delectable drinks at The Raymond 1886 this Valentine’s Day as Executive Chef Jon Hung has created a deliciously decadent Four-Course Prix-Fixe Menu ($115 per person) that will be available from Tuesday evening, February 12th, 2019 to Sunday evening, February 17th, 2019 and The Raymond 1886 will also be featuring their full Dinner Menu each night as well. For star-crossed lovers who opt for the Four-Course Prix-Fixe Menu, they will begin their fantastic feast with Bleu Cheese and Candied Kumquats on Brioche, then they will choose between the Lobster Bisque with crème fraiche, or the Fennel, Blood Orange Salad with frisse, endive and a walnut balsamic vinaigrette for the First Course. 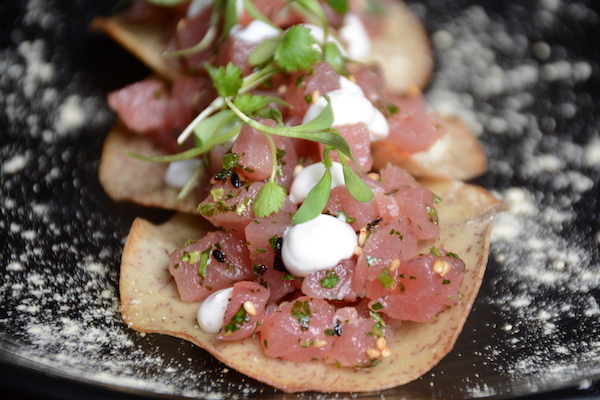 The Second Course will include tantalizing and tasty selections like the Tuna Tartare with miso aioli and taro chips, or the Crispy Pork Belly with sweet chili sauce. Fall in love over the Third Course while savoring the Speck Wrapped Monkfish with braised lentil and Vandouvan sauce; the Porcini Ravioli made with white wine, preserved lemon, and capers, or the Braised Short Rib with truffle risotto and Granny Smith apple compote. For sweethearts looking for something even sweeter, complete your decadently divine dinner with Dessert creations from Pastry Chef Alexa Clark like the fluffy Mascarpone Cheesecake made with orange shortbread and hibiscus vanilla coulis, or the dreamy Chocolate Budino made with dulce de leche crémeux and banana marshmallow. Enhance your enchanting evening with two sensationally sensual Cocktails created by Head Bartender Cameron Masden, where lovers will feel like Cupid hit them with his Bow and Arrow cocktail, made with bourbon, scotch, chocolate bitters and maple, stirred on a rock and garnished with an orange peel, or feel the love by sipping the Amor! 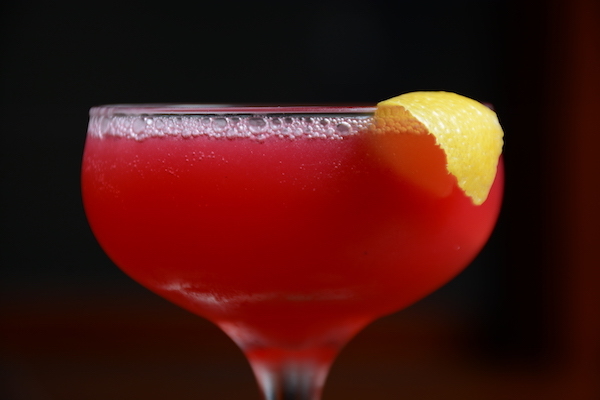 made with vodka, orgeat, lemon and hibiscus, served up with a lemon peel garnish. Ignite a night of passion by making all your indulgent dreams come true at The Raymond 1886 this Valentine’s Day or Valentine’s Week! Maria Sevilla is a Waukesha, WI native. She moved west to study media at UCLA. Her husband is a sports freak, while she prefers mimosas an anywhere her puppy is allowed on the patio. Right now she's writing a romance thriller and excited to attend her next concert! This is very cute. we love several of these restaurants. it’s hard to pick one favorite.